Father’s Day – a personal note…. A great day for a great man (and many other great men out there!). We had a wonderful family weekend, complete with a trip to Ikea, homemade waffles and two trips to the pool! I feel so lucky to have such a wonderful man in my life – husband, friend, partner, father – and so much more. Since my father did not play a role in my life growing up I really treasure these times and I’m in awe of the amazing father/daughter relationship between Kylie & Daddy. Her eyes light up when he comes in the room – she’s such a daddy’s girl – tools and all!!! He was fixing a toy for her today and he said he needed a screwdriver – so she promptly went to her “tool puzzle” and came back with a screwdriver for him. It was just the sweetest thing ever! 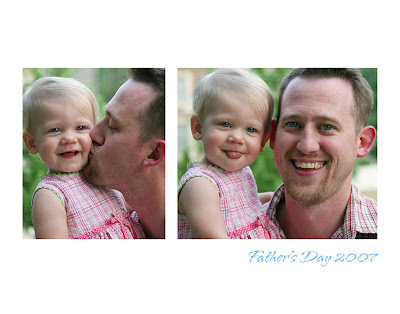 So, here are a few of my favorite pics to celebrate Daddy and Daughter today (don’t expect anything fancy – they’re just snapshots). Happy Father’s Day to all the Daddy’s out there – and to all the Mommys that are doing the job of both. You are appreciated! 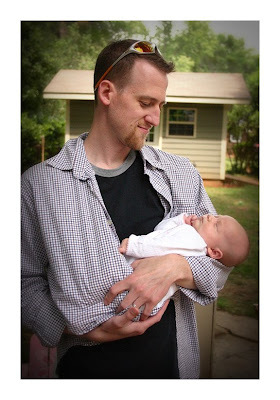 Proud papa – when Kylie was just a couple months old. This has to be one of my FAVORITE pictures. This was the first time she ever laughed – for Daddy of course. It was that deep gut laugh that just makes you laugh out loud with her. And today – these are the big cheesy grins I usually get. Don’t you love the pink bikini??? 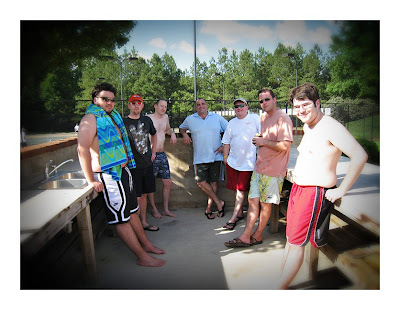 And here’s the GREAT group of guys we hung out with today at the pool. I thought to myself – “this is the life”. Great friends, great food – and so many great memories.